Hello, world. Welcome to my first blog-post. Sure hope your interest in reading what I have to say here today and in the future, matches my excitement about writing it. Can’t wait to interact with you on topics related to the book(s) I have written or am currently working on. Just as I was about to begin writing, I received a call from UPS. 500 copies of my first published book, The Road Home, will arrive on my doorstep in Chesapeake, VA tomorrow afternoon! These I will use to provide signed/personalized copies to my many friends and relatives and to have on hand for sale at various events such as book-signings, speaking engagements and other venues. The rest of the first edition copies are about to arrive at the publisher’s warehouse from where they will be sent to individual buyers and booksellers, e.g. Amazon, Barnes & Noble, etc. It is hard to describe how I feel right now after thinking about and working on this project for over two decades. While it would be easy to fall into a bittersweet mindset, I am choosing to celebrate. Right now, even though I am recovering from my first-ever bout with pneumonia, for me the air is vibrating, my senses of sight, hearing, touch, taste and even smell are keener than I have experienced in years. Perhaps, the prescribed steroids I’m taking have something to do with it but, I swear, time has even come to a near-standstill. Kind of like Neo (Keanu Reeves) when he became one with the Matrix (hope you are familiar with that movie). All because I am about to realize a lifelong dream: I am about to become an author, not just a writer. Those of you initially reading this blog are probably well-aware of the subject of The Road Home, so you immediately understood why it might be easy to fall into a funk just as I am about to achieve something I have worked so long and hard on. For those of you not aware of what this book is about, it is a retelling of my wife’s 28-year battle with cancer, our faith journey and love story. It also relates the first year of the grief process following Debbie’s death nearly three years ago. It’s raw, real, heart-rending and, believe it or not, funny. While I fully intend, in the future of this blog, to share my experience of the realities of the cancer battle and grief process, most important, I want to hear from you, from your life. I want this blog to be of help to folks in the battle as patients, support persons, survivors and those in grief. Basically, if you have cancer, or if you know, love or have lost someone to cancer, I intend for this blog to be a source of information, community and strength. One strictly enforced rule: There shall also be plenty of humor and frequent movie references. Beyond the topics of this, my first book, I also want to spend significant time sharing my upcoming projects. I want to help people move on in life. You are amazing. I am so excited about yours (and Debbie’s) book. I can’t wait to get it. Am looking forward to your future blogs. Thank you my friend. some of the incredible sentiments that they evoked. Having known Debbie all through high school and being something of a fixture at the Pruden household due to friendships, with she, her brothers and some of the neighbors, it doesn’t completely shock me that she battled as she did. Debbie almost always managed a big smile, had an infectious and mischievous laugh and was exuberant and enthusiastic about whatever she was involved in. Having said that, I am supremely impressed with how you both handled these trials and tribulations. As a frequent participant in the many teen drinking parties where we had much of our social interaction, it’s all the more astonishing. Some of us (certainly you two) actually grew into a mature, responsible adulthood. The tenacity, faith and perseverance she displayed in conjunction with your loyalty, devotion and willingness to trust God and battle through these obstacles along with her without bitterness are an incredible testament to the power of love in all of its’ manifestations. Our world, now more than ever, needs more of each of you. Proud to count both of you as friends. Yes, I will be more active on this site in the near future. So much has happened. 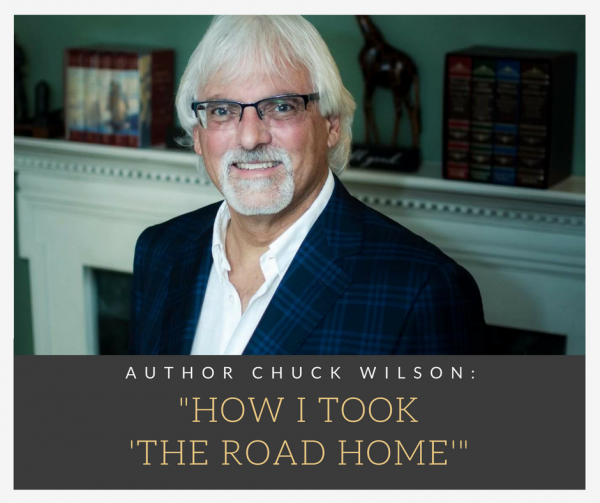 Want Updates from Chuck Wilson? Sign up here to get them straight to your inbox!